Discover how owning one of our low-cost wheelchair vans can open up new avenues of adventure with our purchase-from-home option. When you work with a mobility consultant, we personalize your sales experience to fit around your schedule using the phone and Internet. After the sale is final, you can choose to have your handicap van brought to you, anywhere in the Kalamazoo and Portage, MI area. Drive and Fly: Our mobility professional will map out the route, drive your handicap van from our headquarters to your driveway, and then, fly home! Truck and Trailer: Have your wheelchair van brought to your home or office in Kalamazoo, Michigan. 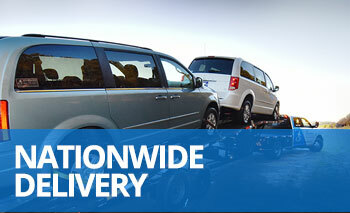 Our experienced delivery associate will haul your van on a flatbed trailer from our office to your front door. Pickup Discount: Travel to our office in Atlanta, GA to pick up your handicap van and drive it home yourself. In addition to no delivery fees, customers from Kalamazoo, MI are normally eligible for a pick-up discount from the purchase price of the van. Get better acquainted with the operation of your wheelchair van through our signature "White Glove Service". Our mobility professional will show you how all the factory and accessible equipment work on your specific handicap van, give you important safety guidelines, and answer any questions you may have. Our customer's satisfaction is key! At the time of delivery, if you feel like your wheelchair van was misrepresented to you at any point during the sale or on our website, we will return the handicap van to our inventory, scratch the sale, and schedule a prompt refund of your payment. 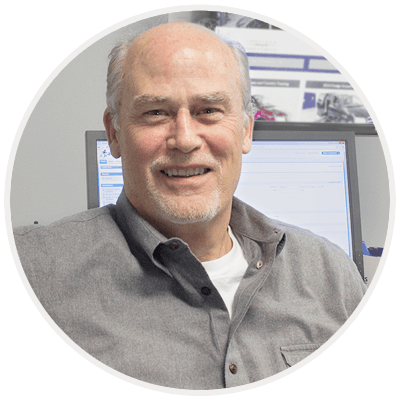 For a second opinion, our mobility professional will happily meet you at any mechanic in Kalamazoo, MI and wait while an inspection is completed. We've made it a mission since we began to keep costs as low as possible in order to provide every person who needs accessible transportation with an affordable option. Our customers typically save thousands of dollars over leading competition when purchasing one of our innovative wheelchair van conversions. Contact a mobility consultant at 800-775-VANS, and we'll research our inventory of new and used wheelchair vans. Based on your needs, we'll make several suggestions for you to consider. Once you pick out a favorite, we'll guide you through the rest of the purchase process while you stay at home and relax in Kalamazoo, Michigan.